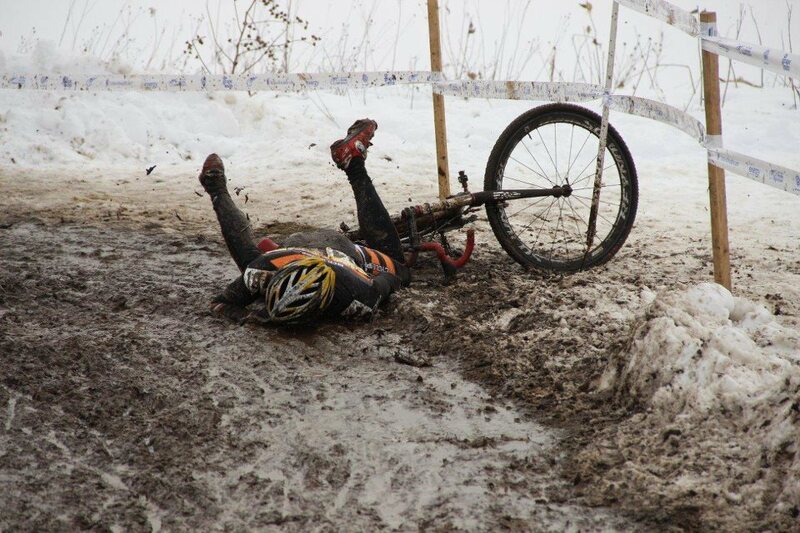 It's not going to be your normal, run of the mill CX race. 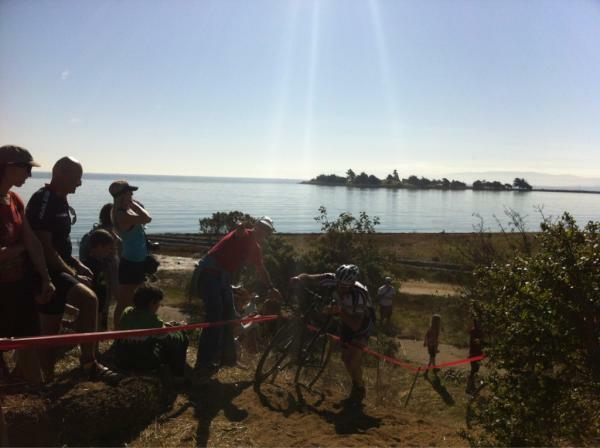 This is the Bay Area's first Monster Cross event. As it is, we're expecting over 300 racers. We've already got 80 pre-registered. 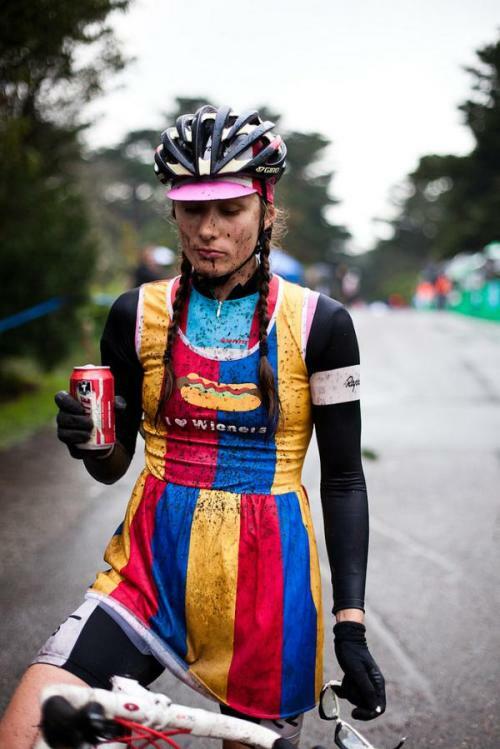 So... about this CX race at the Cow Palace this Saturday, November 21st. 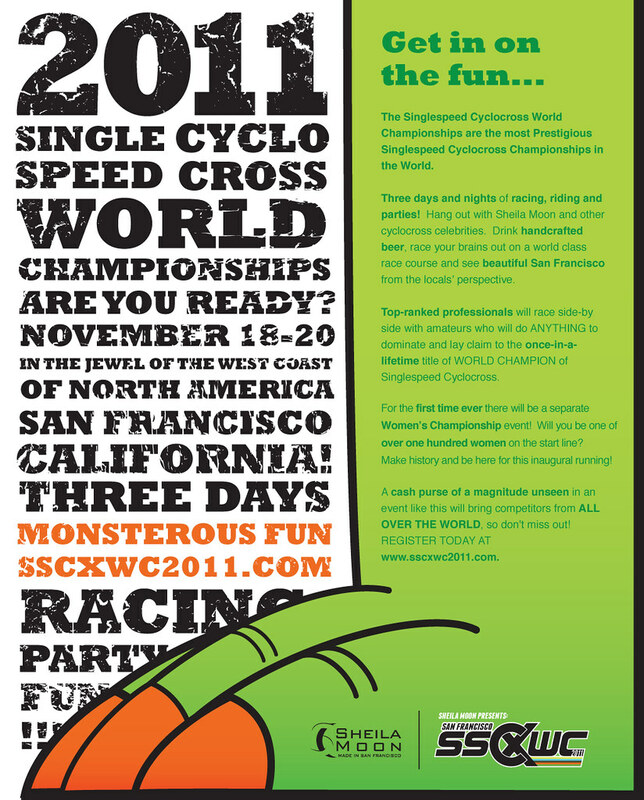 It looks like it's shaping up to be the first Bay-Area Monster Cross event ever. There may be a 50 yard long section of calf deep dirt that's been flooded to a soup like consistency. The other half of the course may contain sections of grand-prix style turns and chicanes on smooth pavement punctuated by filling-rattling stretches of broken pavement. Why not throw in some gnarly muddy run-ups too? Ask yourself then, if that were not exciting enough, if the barriers were to be, in places, made of dirt. The kind that if you had enough speed going you could clear the gap from one to the next. If you were to lack the confidence to try the launch, you'd still be able to dismount normally and run them. Is that something you'd be interested in? What's that you say? You'd like to see an uphill finish? All-rightly then! Let's see what we can do. Nothing gets the crowd more excited than to see two racers or more sprinting up a short pitch to a photo finish. ** Actual course may vary. can i ride a fixed gear in the sport of monster cross? i'll field this one. hunt3r: yes, you can. monstercross bike: a 29er with a drop bar, and according to this guy a 'dinglespeed' setup. just use a derailleur already!! damn dude, i need to hit the vitamin cottage. not exactly desert, but yeah. over my left shoulder and behind me in pic is red rocks amphitheater. that venue when wet is hellish adobe mud, and on my first warmup lap i pulled out no fewer than 25 goatheads. (the joy of tufo latex-works perfect for that). thats a shark down there! THE REAL LOL IS CUTTYS STUNNA SHADEZ!!! zch, cuttye, ddb = BROZE! does zch have a stogie? THIS PIC IS EPIC LOLZZZZ!!!!!!!!! thx STEVE!! The requested video is not available. cutty r u wearing a BARBOUR there? CX seems like it would be a perfect fit for the winter games. what gives? too much mud, not enough snow?? that makes sense. bit of a shame tho! i saw something that suggested the UCI put the omnium in because the track cycling program would be done inside three days if they'd stuck with the pursuit. idiots! The omnium is very olympics though. I'd like to see an even more modern pentathlon: CX, downhill, Road TT, Road Race, Madison. still pissed at the removal opf Madison from the olympics, I was going to get tickets for that. just in time 4 cx debut this friday!! i did badly but had a classic time, obv. friend of a friend used a self-made bamboo bike! was in B grade; i stayed and watched A grade go round after us. amazing scenes at that mudpit, with massive crowd and some bro palying bloooooodclaat jungle techno on this crazy solar powered sound system rigged into a cargo bike. field of 60 riders in B-grade were already jostling for places at the start line, so i played it safe and started at the back (also: i hadn't done any practice laps beforehand due to ridic long line at rego desk). this meant that i was: a) positioned behind guy in lolzy outfit of g-string and ladies' stockings; b) had to wait for everyone in front to funnel into the gross mudpit that took up most of the first straight and the left-hand 'sweeper'. once outside the velodrome area i shed mud and started picking off the stragglers. end of lap 1, feeling good! continued apace, but during lap 3 i went BOOM and it basically turned into a grovel-fest. haaaaaard work. still quite pleased that i've not been last in any race, but will prob take more serious approach to training next year by actually doing some. that's... bizarre on a few counts. like, a really small barrier. 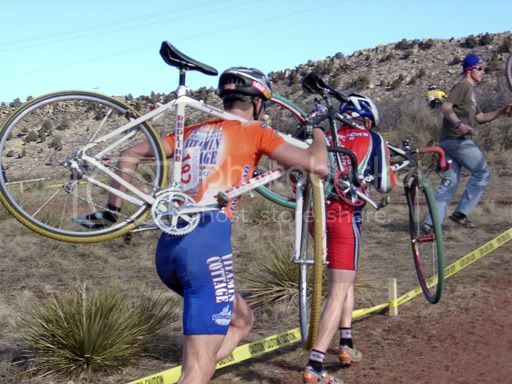 then a right side dismount-- ur doing it wrong. then woooooooooooow! my coworkers and i now have a new "JOOOEEEEEEYYYYYY!" catchphrase. 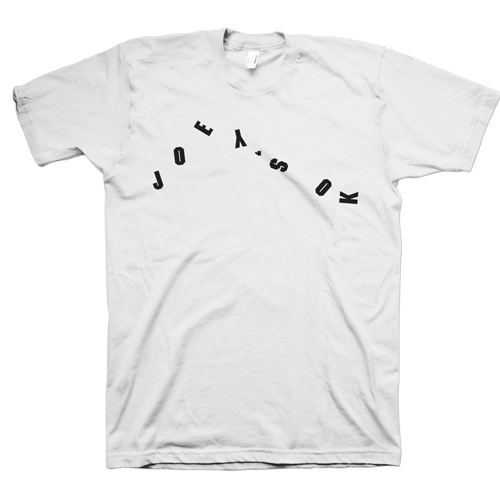 what is girl seeing that leads her to say "joey is ok," cause he looks very not ok.
gbx where is the shirt available from?? It looks like Joey had about as "good" a fall as could be expected. What a Joey, though. 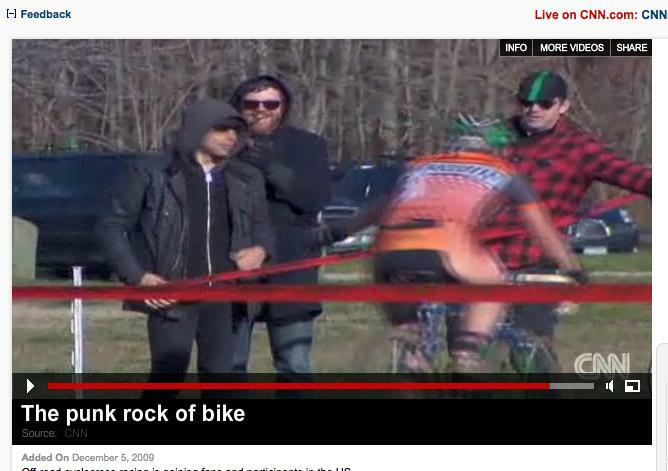 in 2011 racing cross dressed as evel knievel doesn't seem remotely cool to me. that will be awesome. the clunky boxes are pretty atrocious. Have been reading "Slaying the Badger" and it mentions that Bernard Hinault's coach at La Vie Claire told him to go an learn right side dismounts for CX as a winter training exercise. He then used both side dismounts through the rest of his cross career. CX in SF is kinda hilarious as Indian Summer temps soar to about 90F, warmer weather than any road race all year. zk smokin a stogie... classic. No idea if paste will work here but worth seeing. VOS absolutely crushing the worlds, they should let her race the men this afternoon. So I never made it to the worlds, but watching from home has been great.